What is the procedure to carry a pet in train no. 20821? I have to carry a cat to my destination. Please tell me the procedure to do so. @Ayush_Kumar13 You can carry your pet cat within the coach only if you are traveling in First Class AC and you cannot carry your pet in any other class of train. The other option is to carry your cat in the Luggage Van, contact the Parcel Office and book accommodation for your cat two days before the commencement of the journey. If you are detected carrying your pet without due booking in an AC First Class or Brake Van you will be charged at Luggage Rates based on the weight of your pet and have to pay a minimum fine of INR 10 per pet. These charges are prepaid in nature. It is the responsibility of the owner to arrange for food and water along the course of the journey. Even when you carry your pet along with you in a First Class AC compartment (and sharing a coupe) you will need the consent of fellow passengers. If at any point of the journey, the fellow passengers object to your pet remaining in the compartment, your pet will be immediately removed to the Guard’s van and no refund will be provided. 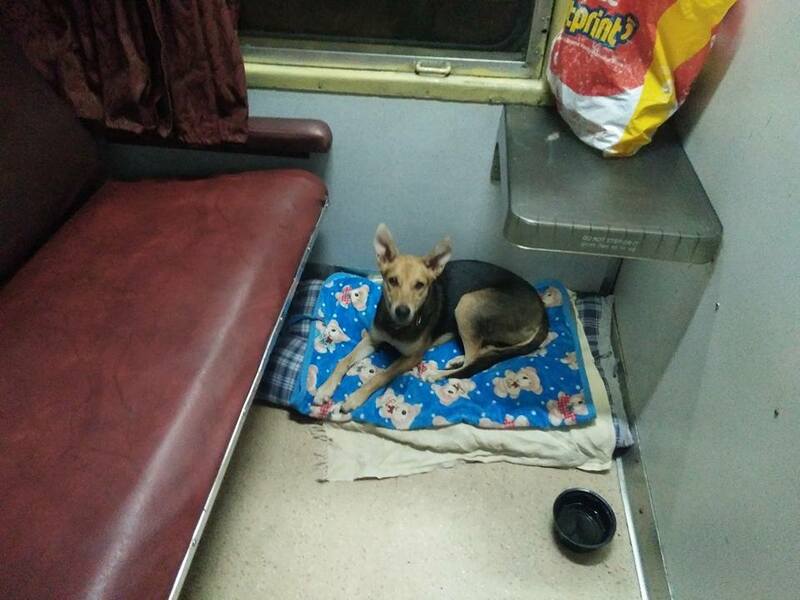 Pets cannot be carried in the compartment when you are traveling in AC Sleeper coaches, AC chair car or second class coaches.